Campbell Avenue Acres Subdivision is in the Central area of Tucson. Condos and Townhouses are popular for students at the University of Arizona and those looking for an urban living experience. Tucson’s historic homes are found in the Central. If you are looking for a historic home Campbell Avenue Acres Subdivision is in Historic Barrio Santa Rosa. There is a wide range of home choices available in the Campbell Avenue Acres Subdivision and Central area. And if you are looking for a Mid-Century Modern Home the Campbell Avenue Acres Subdivision is a top spot. Homes in this Campbell Avenue Acres Subdivision are close to the U of A. 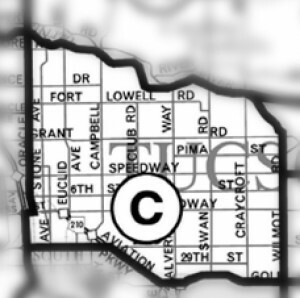 Families living in Campbell Avenue Acres Subdivision are served by the Tucson Unified School District, or TUSD. The Campbell Avenue Acres Subdivision is in the Central Area of Tucson, AZ. Shopping, restaurants, and activities are a short walk or drive from homes in the Central Area. Restaurants to visit if you live in the Campbell Avenue Acres Subdivision or another Central area location are El Berraco and Feast. Are you thinking of buying a home in the Campbell Avenue Acres Subdivision or another area of Tucson? Finding the right home or Condo can be a challenging process. But we can make the process much less stressful for you.